Amazon [amazon.com] has select Toys & Board Games on sale listed below. Shipping is free w/ Prime or on orders $25+. Note, offer valid only for April 10, 2019 or while supplies last. Picked up a couple of this for my new place. Seems like a better deal than the Sun joe hose that went front page. The reviews on the hose are pretty good as well. $15 with free store pickup. 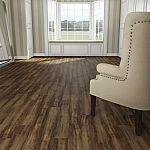 Home Depot has Up to 49% Off Select Hardwood, Bamboo and Vinyl Plank Flooring. Shipping is free or Free store pickup. Walmart store pick up is free or shipping is free with $35 order. Amazon has 3 available and more on the way. Amazon has Slayer's Seasons in the Abyss on vinyl for $14.19. I am not sure if it's the lowest ever, but it's as low as I've seen it. Excellent price for a classic album. Paperi via Amazon offers the Future Vinyl Laptop Sticker Set in several quantities (300-Pack pictured) from $7.58. Clip the 5% off coupon on the product page and apply coupon code "N5CO7XQB" to cut the starting price to $5.31. With free shipping for Prime members, that's at least $2 off and the lowest price we could find. The sets include a variety of themes with no repeats. Use promo code WS002AAA at checkout. Lowest price I have seen in a while on this stuff. I have bought this brand before and it is great to have around the house for cleaning and removing sticker/glue residue. It's also nice to have some nitrite gloves on hand as it can dry out your skin after a while (it also eats through vinyl gloves). 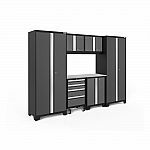 Home Depot has Up to 40% off Select Garage Storage and Flooring. Shipping is free. I've had a couple of Bouncing Souls LPs on my wish list that I recently noticed dropped down in price. Did a little digging and found that a LOT of LPs from Epitaph are on sale for around $11.00 from Amazon! Some of these have very limited quantities. So buy now! 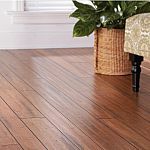 Home Depot Deal of Day has Up to 25% off Select Bamboo and Vinyl Plank Flooring. Shipping is free. Office Depot [officedepot.com] has select office task chairs on sale today and Monday (2/24 - 2/25/19) w/ Free In-Store Pickup where stock permits. Free Delivery may be available. During your browsing session - wait 20 - 30 seconds, a pop-up box should appear for a special 20% OFF coupon. Click "Activate My Savings." This coupon is unique code. It applies to the highest priced item in cart. Checkout using Masterpass for additional $10 OFF (order subtotal must be $50 or More). 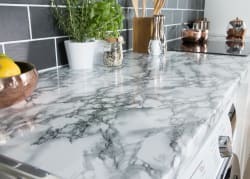 When ready to checkout, sign into your account - Free Delivery should be available for selection. Sticker Mule [stickermule.com] Brought this deal back in less than 24hrs from expiration. For all the people that missed out on yesterdays promotion. Jump on this now! Seems to be while supplies last. within a few hours of your order you'll receive a email to approve your proofs.